Save now with insurance quotes from our partners! The luxury division of Volkswagen, Audi sells in the U.S. a lineup of models ranging from small two-seat coupes and roadsters to a large seven-seat crossover. In recent years, Audi has grown its offering and done a better job of distinguishing its models from the Volkswagens on which they are frequently based. Despite the perceived disadvantage of front-wheel drive, the performance of base car models has improved, and they often include Quattro as a performance enhancement to battle sport-oriented rival BMW. (A pioneer in all-wheel-drive technology, Audi has long offered Quattro for its more practical advantages.) Audi's 'S' treatment provides a higher-performance option of some models, though the 'RS' versions that compete more closely with cars from BMW's M and Mercedes' AMG divisions aren't currently offered in the U.S.
Audi's practical cars include the small four-door-hatchback A3; the A4 compact sedan and Avant wagon; the midsize A6 sedan and Avant; the full-size A8 sedan; and two crossovers, the compact/midsize Q5 five-seater and the mid/full-size Q7, which seats five, six or seven. Sporty models include the two-seat TT coupe and roadster (convertible); the four-seat A5 sedan and cabriolet (convertible); and Audi's halo car, the R8 two-seat supercar, which will soon come as a roadster as well as a hardtop. Currently, S versions are available of the TT, A4, A5 and A6. 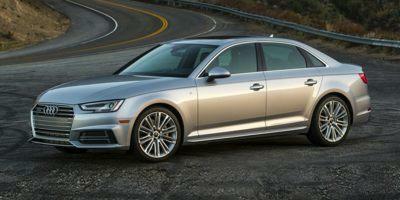 A diesel engine leader in the U.S., Audi offers TDI clean-diesel engines for the A3 and Q7. Though its owner, VW, is in Wolfsburg, Germany, Audi is headquartered in Ingolstadt.